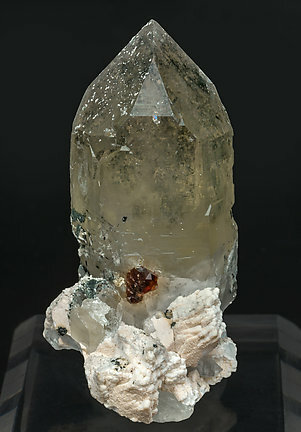 Trapezohedral garnet crystals that are transparent, bright, with a very intense color and on a matrix of Microcline crystals with smoky Quartz crystals. 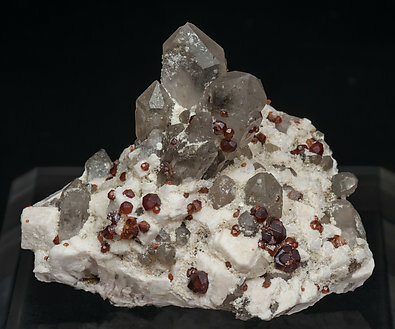 Garnet (group) crystals with the forms of the dodecahedron and the trapezohedron, transparent, bright, with a very intense color at the base of a large transparent Quartz crystal and a group of Albite crystals. Very unusual for the locality.